Bob's old hanging buddy, Johnny Driver will be in town with his Brooklyn punk/no wave duo Shellshag. 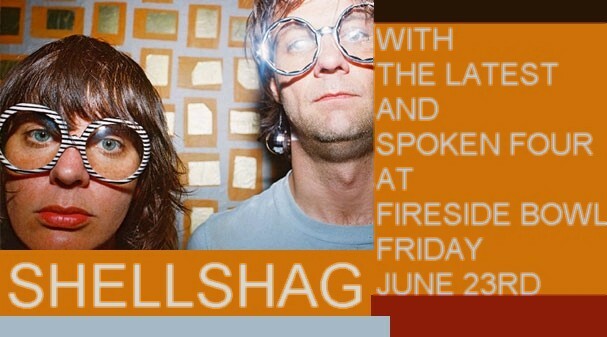 Also playing Friday night, Chicago's own grrl rockers the Spoken Four. Come on out and set a spell. The Fireside is at 2648 W. Fullerton. Show starts early, doors at 8 PM. Tell John Driver that his old highschool classmate, Cathy Power, says "Hi! ".